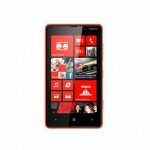 Window Phone 8 has brought Microsoft back in the mobile arena. Lots of big entertainment providers such as Netflix and Hulu have created apps for the Platform. With Unlocator you can watch Netflix and other US channels from anywhere in the world. Simply set up your Windows Phone 8 to use our DNS server and you are good to go.